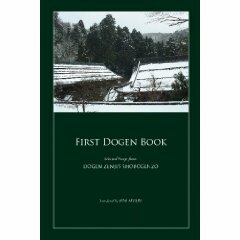 I am pleased to announce the print availability of “First Dogen Book”, a brand new book containing extensively annotated translations of selected fascicles from Dogen’s Shobogenzo. In the middle of Genjo Koan, Dogen introduces an analogy involving fish, birds, sea, and sky. This was actually the first bit of Dogen that I ever translated. 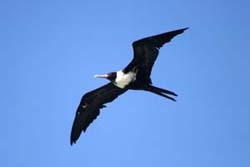 Swim as they may, fish find no end to the sea; fly as they may, birds find no end to the sky. Yet fish and bird still remain in the sea and sky as they have for ages…birds would perish instantly if they left the sky, fish would perish instantly if they left the sea. David A. Shaner discusses Dogen’s “dropping off body and mind”, something I’ve taken up more than once (here and here ), in “The Bodymind Experience in Japanese Buddhism: A Phenomenological Perspective of Kukai and Dogen”, an excerpt from which can be found here, in the Digital Library and Museum of Buddhist Studies, a Taiwan-based initiative. Shinjin datsuraku is a phrase traditionally translated as “cast off body and mind.” The importance of this phrase cannot be underestimated. It occurs throughout Shobogenzo, works by Dogen not included in Shobogenzo, and is most evident in Shobogenzo Zuimonki, which was edited by Dogen’s disciples shortly after his death…In fact, Dogen stated explicitly that this is all you need to understand Buddhism. 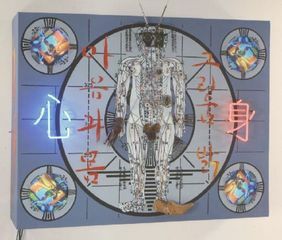 In keeping with the terminology utilized throughout, it would be more accurate but also more cumbersome to translate shinjin datsuraku as “cast off the mind-aspect and body-aspect.” In other words, cast off all abstractions in order to become aware of the bodymind ground at the base of all experience. I recently posted on a mention of the game of Go in the “Spring and Autumn” fascicle of Dogen’s Shobogenzo. Now, the example of playing checkers is quite appropriate, but what sort of thing is this business of two people playing? If you speak of two people playing, you are still caught in duality [literally, “there will be eight eyes”]. And if you are caught in duality, there is no checker game. How can there be? Therefore, shouldn’t it rather be said that only one person is playing checkers and that he is his own opponent? Quite a jump from “eight eyes”—which has a perfectly well-understood translation as “bystander”—to “duality”. And it is not “if you are caught in duality, there is no checker game”, but the opposite: you can’t play in the Go game if you’re outside looking at it. What is the meaning of “two people playing go”? If we say “Two people are playing go” it means we are a third party not actually playing. If we say such things then we must stop talking and directly face our opponent. As expected, philosophical topics dominate; these are the “famous” fascicles such as Genjo Koan and Uji. Next comes practice, ranging from Bendowa, Dogen’s chatty overview of Zen, to Zanmai-O-Zanmai, a discussion of samadhi. 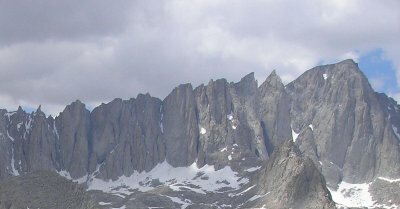 Doctrine follows, although of course, the fascicles I’ve classified as “doctrine” are also somewhat philosophical in nature, typically with Dogen taking up some Buddhist doctrine and putting his own unique spin on it, such as in Sokshin-ze-butsu, sometimes translated as “Mind Here is Buddha”. In addition to being a thinker and writer, of course, Dogen was also running a big monastery, accounting for the 10 fascicles about rules, down to details of how to run a summer practice period (Ango), what to write on message boards in the kitchen (Jikuinmon), and how to wash yourself (Senmen and Senju), these fascicles among the longer ones, meaning that they occupy a greater proportion of the whole in terms of page count. Bringing up the rear are tradition, the topic of fascicles such as Shisho (“Certificate of Transmission”), and ethics, under which I’ve categorized fascicles like Shoaku Makusa (“Do no Evil”). In case anybody’s been looking for the Gudo Nishijima / Chodo Cross translation of Dogen’s Shobogenzo and couldn’t find it, or else found it for a ridiculously high price, check out the link below or click on the title of this article. The full four volume set is now available through Amazon.com at just $23.99 per volume. This is the best, most reliable English translation of the complete Shobogenzo that ever has been or ever will be produced. I’ve sat down with the Japanese version and this translation open to the same passage a great number of times and it’s like someone gave you magic glasses that enabled you to read exactly what the original Japanese text says in crystal clear English. You cannot do this with any other edition. It’s great to see this available once again. Buy a set or be a loser! I suppose it’s the “best” translation of the complete Shobogenzo because it’s the only one currently in print (the Nishiyama/Stevens translation, the only other complete translation, is out of print). As for whether or not it’s the best that “will ever be produced,” I guess Zen masters must be able to foresee the future. As for whether it’s the best in terms of the translation of any particular fascicle which has been translated elsewhere, the anwer is—far from it. When the budda-tathagatas, each having received the one-to-one transmission of the splendid Dharma, experience the supreme state of bodhi, they posess a subtle method which is supreme and without intention. Which parses the Japanese incorrectly, interprets it wrongly, and renders it into broken English. Chodo Cross has referred to the work of translating Shobogenzo, or rather Nishijima’s modern Japanese translation of it, as “donkey work.” Let’s just say—that attitude shows. It’s odd that Brad, who espouses a modern, in in-your-face brand of Zen, would be so attached to this overly literal, tired translation. Western Zen students would be far better off with one of the Cook translations, such as How to Raise an Ox, or Sounds of Valley Streams . Or, one hopes, at some point, a fluent, informed, new definitive translation. Translating Dogen demands a philosophy of translation. Many of those translating Dogen are not professional translators, which perhaps is why we so often fail to see coherent philosophies being applied. The simplistic choice is between “literal” and “paraphrased” translations. These styles have names: formal and dynamic equivalence, or “form equivalence” and “functional equivalence”. Sometimes the terms “word for word” and “thought for thought” are seen as well. The debate between the two schools is heated and often uninformed. The literalists accuse the paraphrasers of inserting their own opinions into the translation. The paraphrasers respond that the literalists create wooden translations that no one wants to or can read. There are problems with both sides of course. No translation can be completely literal, since it must use the vocabulary and syntax of the target language. And if the objective of the paraphrasers is to “create the same effect in the mind of the reader of the translation as the original did in the mind of its,” clearly this is impossible given that the readers exist in different cultural and historical contexts. Of course, which style to use depends on the goals of the translation and the target audience. A wider, more general audience would call for a more dynamic style, a narrower, more expert audience a more formal one. When the source and target languages are distant linguistically, a more dynamic style may be the only choice. Dynamic equivalence was developed by the linguist Eugene Nida for Bible translation. He insisted that only this approach could create an approachable, meaningful Bible for the masses. Bible translations are clearly a useful analogy for translating Dogen. An interesting approach developed for the God’s Word translation is called closest natural equivalence translation. CNE asserts that an awkward translation by definition is not faithful to the original, while at the same time natural-sounding language in and of itself never suffices to make a translation good. The obvious objection is that it may not be possible to convey meaning accurately in natural sounding language. I would assert, however, that it is simply a matter of time and effort on the part of the translator. It should not be out of the question to spend an hour, or even a day, on a single sentence. Naturally, this reduces translator throughput dramatically. It is striking, however, how in many cases, once the effort is made, the resulting natural English undeniably conveys the meaning of the original in a way much more compact and compelling that a mechanical translation might. Translation can never be completely objective. Even when operating under the assumptions of closest natural equivalence, translators cannot produce a perfect translation. Translators use cautious judgment and maintain a keen awareness of all the factors needed for a full understanding of the source text. Among other things, translators need to understand the original language’s grammar and syntax, appreciate and understand literary devices used by the original authors, understand what kind of audience the original author had in mind when writing, and understand the modern target audience and its language. Because these factors call for balance and judgment, every translation (even those produced using closest natural equivalence) can be improved.